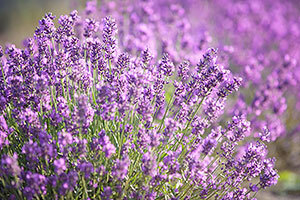 Tasmania is poised to take advantage of lavender woes in France. A lavender trial crop in the Central Highlands points to a bold new cash crop for local land-owners. Essential Oils of Tasmania research field agronomist Sam Smee said Tasmania offered the right mix of conditions to produce high-grade lavender oil. “Lavender (Lavandula angustifolia) requires a cold winter to set the flowers, followed by a warm, sunny summer to allow for maximum oil accumulation,” Mr Smee said. “Tasmania’s climate is ideal for production of high-quality lavender oil.” Essential Oils is holding a lavender field day at its trial plot at Montfort at Hamilton on Wednesday from 1pm to 3pm. France’s ability to produce high-quality lavender oil for a range of perfumes and toiletries has suffered some recent setbacks. “In part due to climate change in the traditional growing regions of France, but also the recent emergence of a serious disease that has severely reduced production,” Mr Smee said. Copyright © 2011 Roger Hanson, The Mercury.